CLEARWATER, Fla. (WFLA) - A fight over the late rapper Tupac Shakur ended with one man in the hospital and another under arrest, police in Florida say. The incident happened Wednesday night at the corner of Chestnut Street and South Myrtle Avenue in Clearwater, Florida. The Clearwater Police Department received several emergency calls about a battery in progress around 9:45 p.m. When officers got to the scene, they say they found a victim with heavy facial injuries that included large lumps. The man's eyes were also swollen shut, police noted in an arrest report. Police say the victim was conscious when they arrived but wasn't really able to communicate with officers because he was intoxicated. He was taken to Morton Plant Hospital via ambulance where he was treated for a broken nose. Several witnesses at the party told police the man responsible for the beating was 35-year-old Thomas Statkiewicz. 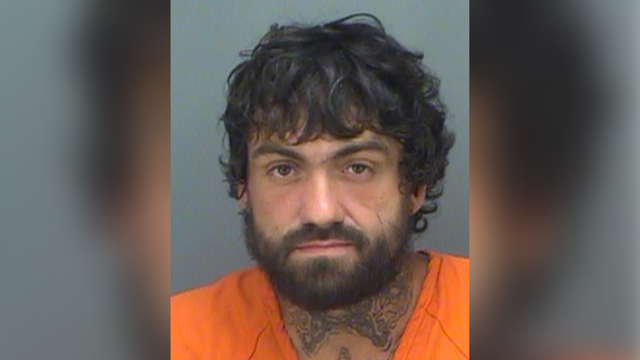 Police say Statkiewicz admitted to "defending" himself and punching the victim more than once after the victim tried to punch him during an argument over 2Pac. The arrest report did not say what specifically the fight over 2Pac was about. Statkiewicz was arrested for felony battery. Police say he has a previous battery conviction from last year.